I have a new Friend, her name is Vica. Vica lives far away on another continent. We met through eBay. Any of you fellow Ebayers know that eBay is a subculture. If you buy and sell you meet through the Internet and often face to face all kinds of people. I have been eBaying since eBay began, which I think was '97 or '98. 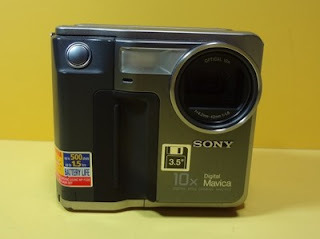 I started Selling for an art company, I'd take pictures with the company's State of The Art Digital Camera: A Sony Mavica Digital camera, digital images saved to a floppy disk. It was totally cool. When it became less state of the art I bought it for 100.00 and started selling my own things on eBay. I am still selling things on eBay. That is how I "met" Vica. wow!You have written about me and our conversations on your blog!What a generous, pleasant, friendly and helpful person you are! Wow! I am so SURPRISED and EXCITED to find out about your precious gift for me! I feel thankful and embarrassed at the same time. What can I do...how can I thank you? WOW! I wish you love, success in everything you do,health and nothing than the BEST! Friends are like walls.Sometimes you lean on them, and sometimes it's good just knowing they are there. Thank you for everything dear Ginny! I liked what you wrote at the end of your message. That is so much true. Daily, we are confronted with various circumstances that try our character, test our integrity, and tempt our morality. It is not always easy to live a good life. But I try my best! Our heart determines the course of our lives. Therefore, we are accountable for our desires, decisions, and actions. In all and every situation, we have the choice to do what is good, true, and right. I feel so touched by your kindness! I am speechless! I just could not believe my eyes this morning when the postman came to the door! A parcel from.....? Where is it from? From USA.. No! Not possible! So quickly! And then I see: “Ginny" Maxam Made! I can ´t believe it! It is from my pretty Ginny! Lots of pretty colors! I don ´t know where to set my eyes, where to start first! YOU ARE THE SWEETEST DARLING I have ever known! You know, you really touched my heart at the deepest! What a wonderful person you are! What an artist you are! Your card for me is splendid: So fresh and colorful and beautifully made! I have not enough words to describe all I see and enough superlatives to thank you. You are adorable! You are beautiful and you brightened my day with sunshine and warmth of your heart! You are so sweet! That white card stock is FABULOUS! You were right- great product! buy some card stock packages from you! WOW! What a nice paper! I love it! I also want to find some links on the internet for Adirondack paint you sent me to get some more information on this great product. This brand is absolutely new for me! The pink color is very gentle! Wow! You sent me an AWESOME SU ink pad! This is my very first SU ink pad! I can’t believe that I will be able to try using it now! The sample card with this ink you made looks very cool! How can I thank you for all these pleasant surprises Ginny? ...thank you so much again! 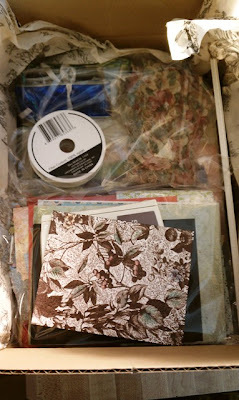 I will treasure all this craft stuff and use it in many many future projects. All my love to you and your beautiful family.